Will your new appliance work in your home? As we increasingly purchase new appliances that are more energy efficient, homeowners are surprised to find that their new units have four-prong plugs which do not work with the typical three-hold receptacles in their homes. However, there is sound logic for the switch to four-prong, and a variety of solutions. Prior to 1999, the National Electric Code (NEC) required only a three-pronged outlet for ranges and dryers. The connection of the neutral and the ground wires could be combined at the unit, meaning electricians only had to pull the ground wire and two conductors. Thus, plenty of homes have only three wires run to the dryer or to the range. Call All Wire today for more information on reliable home electrical service. Ranges and dryers have digital displays, timers, and other features. To power them prior to 1999, a small amount of current would run on the ground wire. The ground wire, however, is designed solely for personnel safety. When a current is run on it, potential to “energize” the metal case of the dryer or range is created. If this happens, a powerful and potentially lethal shock can be created. The NEC now requires that the neutral wire and the ground wire be separate. These regulations have led to the manufacturing of four-pronged appliances. The reverse can also happen when trying to connect an older dryer or range into a new outlet: its three-prong conductor cord won’t fit the conductor hook-up. The safest, smartest option is to have an electrician update the home’s outlets and wiring system with four-pronged outlets for the appliances. 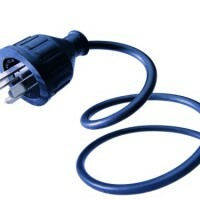 The NEC allows homeowners to replace the appliance cord of four-pronged appliances with a three-pronged option. For three-pronged appliances in a house with four-pronged outlets, homeowners can also purchase a replacement cord and remain compliant. Although some homeowners opt to replace a range or dryer cord themselves, which is dangerous because the risk of shock is high. It is best to have an experienced, trained professional perform this work. The easiest way to install new appliances is to first examine the system in your home – and update it accordingly – before buying new appliances.